Did you know that our butcher shop sells some of the most tender beef in Central Illinois? Our beef processor’s facility features curved walls and padded floors. Why, you ask? These attributes and other details at the facility keeps the cattle calm. At the time of slaughter, if the cow is calm, the meat is more tender, because the cow is not stressed or tensed up. Calm cows = tender meat. Fresh taste and quality cuts. That’s what we’re all about here at Haddad’s Market. John and Dave welcome you to the meat department at Haddad’s. We are proud members of the United Food and Commercial Workers Union, featuring 80+ years of combined experience in meat cutting. That means you get top-notch quality and attention to detail. Do you have questions regarding meat prep, grilling, or cooking? Or do you simply need a suggestion about what to serve for dinner? 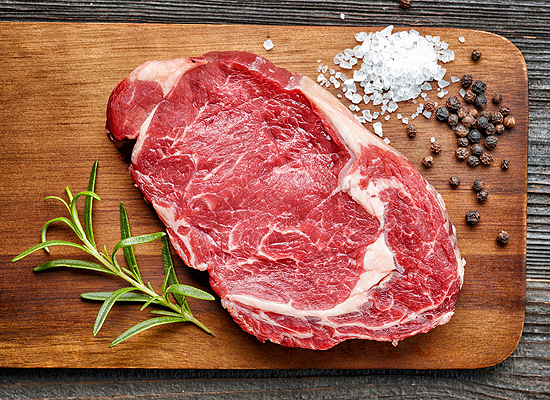 If you’re looking for the freshest, most tender meat Central Illinois has to offer, look no further than the Butcher Shop at Haddad’s Market! With a large assortment of products, all cut fresh daily, we have what you need , whether it’s for dinner tonight, a holiday meal or that dinner party you’re planning. 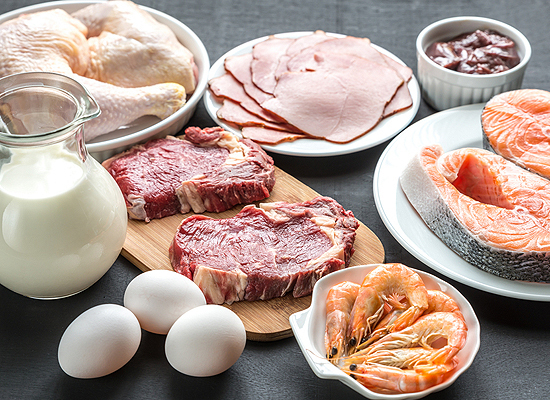 At Haddad’s, we have all the fresh meat, fish, and poultry you need backed by many years of quality and service. Rest assured, our chicken is cut fresh daily, never frozen. And our beef cuts are only USDA choice or better. Yes, many other stores sell USDA select for the same price as our choice cuts, but there is definitely a difference in quality you can taste. Go ahead and compare! As a member of the United Food and Commercial Workers Union, you can rest assured you are getting the best quality and attention to detail possible. We have 80+ years of combined experience in meat cutting. We’ll gladly answer any questions you may have about meat prep or cooking. Sometimes you just don’t know what to serve for dinner. Let us offer some suggestions. We can help. John and Dave head up the meat department here at Haddad’s. Come ask us about our large assortment of products, all cut fresh daily. Whether you need a special cut or you’re looking to plan a big dinner party, we are here for you. We have fresh Norbest turkeys for the holidays, and every day is a good day for fresh fish. From poultry and fish to choice cuts of meat, Haddad’s Market is Peoria’s first choice for quality foods. Call us now at 309-674-0040 or visit us at 2407 West Rohmann Avenue in West Peoria.